Manufacturers Midway - Come check out your favorite displays in Nitro Alley from 1:00 P.M. until the beginning of the second Nitro qualifying session. 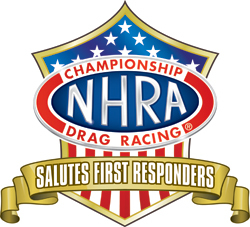 Nitro Qualifying - Catch the action of two sessions of 300 MPH Nitro qualifying - 5:30 P.M. & 8:00 P.M.
First Round Follow Up - Meet announcer Brian Lohnes in the Pits after first round to get the scoop on the hottest story from Round 1. Manufacturers Midway - Come check out your favorite displays in Nitro Alley from 9:00 A.M. until the beginning of the fourth Nitro qualifying session. Nitro Qualifying - Catch the action of two sessions of 10,000 horsepower Nitro Qualifying, the pro drivers last chance to make it into the top 16 for Race Day - 1:30 P.M. & 4:00 P.M.
Nitro School – Come join Alan Reinhart and Clay Millican at the NHRA Midway Display and get schooled on all your Nitro knowledge - 11:00 A.M.
Bristol Dragway Fan Fest - Come by and receive autographs from your favorite NHRA Drivers at the Mello Yello Powerhouse in the Midway. The Fan Fest will start 30 minutes after the last Nitro Qualifying Session. Manufacturers Midway - Come check out your favorite displays in Nitro Alley from 10:00 A.M. until the beginning of the third round of Nitro eliminations. Sealmaster Trackwalk - Join us in walking the track at Bristol Dragway with a few of our special guests.